Freezing Thai Ice Cream has been a rolling success all summer—literally. If you haven’t stopped by the shop at 210 N 14th St. in downtown Lincoln, then it might be time to treat yourself to a unique dessert. 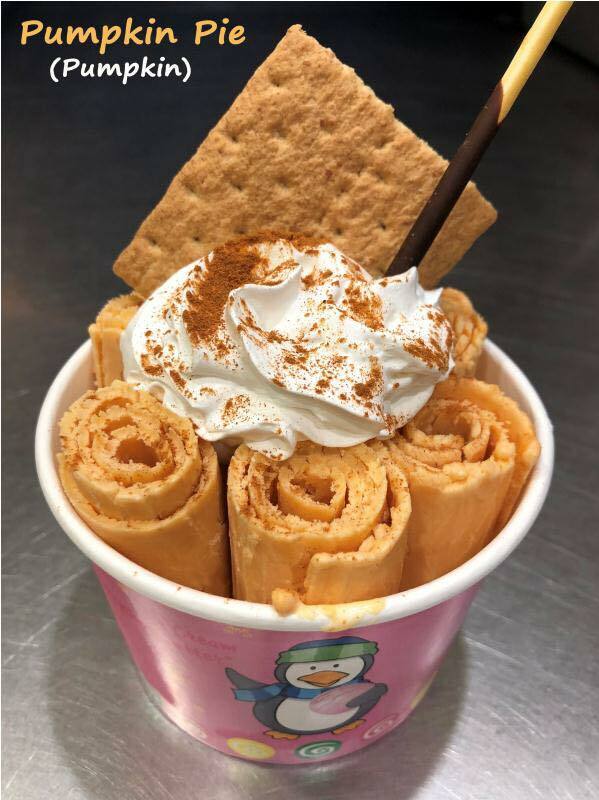 Thai rolled ice cream is a street vendor treat that became a global phenomenon this year. It isn’t your traditional ice cream cone: it starts as a milky, liquid base with fresh fruit or candy mixed in. The mixture is poured onto a freezing stainless steel plate where it is then quickly churned and flattened. Once it solidifies, it’s scraped off into tight rolls of ice cream, placed in a cup, and topped with whipped cream, fruit, candy, or whatever the heart desires. 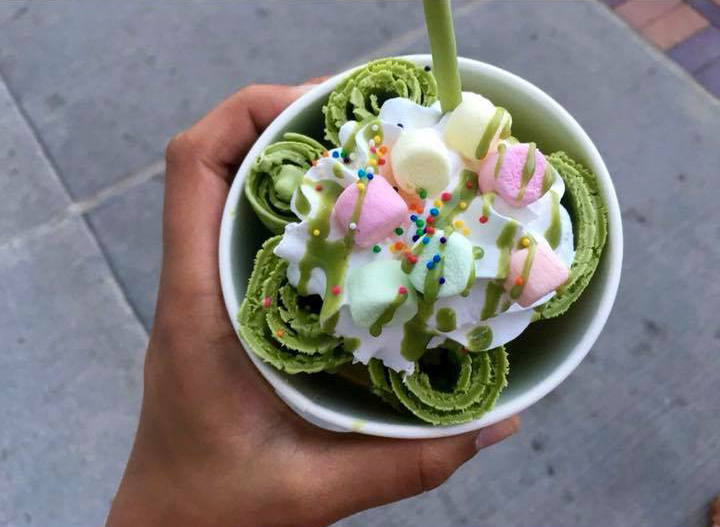 The end result is something almost too pretty to eat and perfectly Instagrammable--so it’s no surprise the frosty desserts went viral and Thai rolled ice cream shops made their way to the Midwest. During a family vacation to Thailand, Lin started noticing them everywhere. Lin started learning how to make Thai rolled ice cream from a vendor in Chicago and slowly but surely bought the freezing machines and brought her knowledge back to Nebraska. Lin already had years of experience in restaurant management, but thought an ice cream shop would be fun to own because of her kids. She opened a Freezing location in Omaha’s Aksarben Village in April and only two months later opened the Lincoln location. Freezing’s steady success has Lin looking forward to opening a second location in West Omaha, as well. Lin said learning the art of rolling ice cream isn’t difficult, but it’s definitely not easy. With machines that reach temperatures of -20 degrees, it takes speed and know-how to make sure the ice cream comes out perfectly rolled. The list of flavors and mix-in combinations at Freezing is growing all the time. Recently, a pumpkin pie flavor and a Reece’s Peanut Butter Cup creation has been added to the board, and Lin and her employees are working on creating vegan options. Lin’s personal favorite is called “Monkey Business”--a banana and Nutella combination. Freezing is able to take their machines and ingredients to events and is available for catering. Recently, the ice cream shop was a part of Downtown 101 and Great Harvest Moon Festival. Lin said she’s looking forward to catering a wedding and a large family gathering in the coming months. Contact freezingthaiicecream@gmail.com to cater your next event!